Three years after eBay launched its rapid delivery venture, eBay Now, the company is nixing the service as other e-commerce companies and retailers like Amazon, Uber and Whole Foods continue to dip their toes in the fast-delivery market. The company announced it would simplify commerce on its site by retiring eBay Now – which let customers buy items from local retailers or sellers and have them delivered, sometimes within hours – by Friday. The move to shutter the super-express delivery option comes about a year after the company retired the eBay Now mobile app, a move that “significantly reduced our dependency on a separate standalone service,” the company says. “While we saw encouraging results with the eBay Now service, we always intended it as a pilot, and we are now exploring delivery and pick-up/drop-off programs that are relevant to many more of our 25 million sellers, and that cover a wider variety of inventory that consumers tell us they want,” RJ Pittman, chief product officer for eBay, said in the company’s announcement. The service – which was available only in certain areas of New York City, Chicago, Dallas and the San Francisco Bay region – offered $5 same-day shipping on orders of $25 or more from partner retailers and those selling through the site. The company says the logistics of the quick-delivery service proved difficult to manage, as many sellers provide items from their homes. However, eBay Now did dabble in deliveries from local retailers, counting partnerships among Kmart, Home Depot, Office Depot, Bed Bath & Beyond, Urban Outfitters, and GNC as part of the service. While the marketplace is shuttering eBay Now and a similar pilot program operating in Brooklyn, the company says that it will continue to offer in-store pickup at its partner retailers like Best Buy and Toys “R” Us. 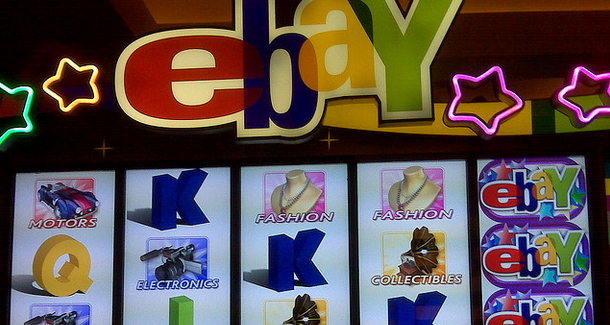 eBay also announced it would shut down three seldom-used mobile apps. The eBay Fashion and eBay Valet apps will wind down over the next few weeks, as these services are already available on the company’s website or main app. The eBay Motors app is expected to shut down later this year.